Ever experience THAT desperate moment where you just cannot find that one diaper cream you need to soothe your crying baby on the changing pad? Or does your messy and disorganised changing table gives you a headache every time you look at it? 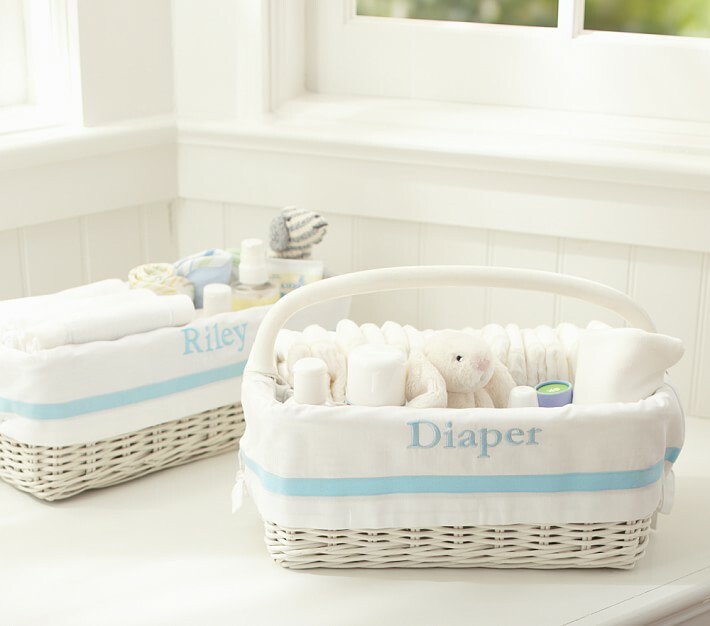 A diaper caddy is your answer to get rid of these inconveniences once and for all. It is basically a storage container where you can store all your changing essentials for you to keep them within easy reach, be it on your changing table or hanging by your crib so that you don't have to run around the house like a headless chicken anymore to look for that one baby powder (or diaper, or cream, or... you get the idea)! 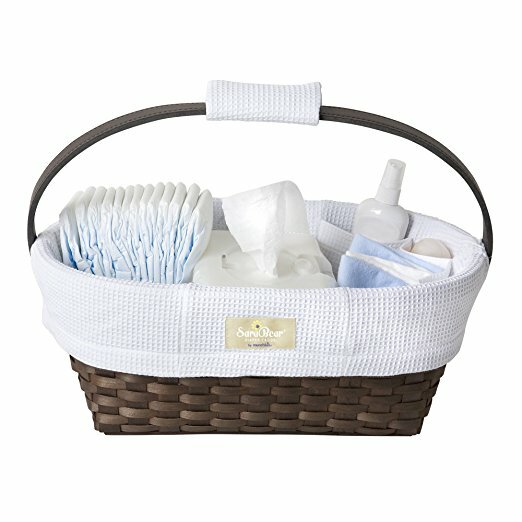 Looking for a big diaper caddy to store all your necessities? The Munchkin Sarabear Portable Diaper Caddy is the best diaper caddy for you! Comes with 5 compartments - 1 large for you to hold your baby wipes container in place and 4 others to store your diapers, creams, burp clothes, ointments and whatnots, this diaper caddy is the best changing table organiser to keep everything tidy and in order. Designed by a mom to be both stylish and practical, this diaper caddy comes in a custom shaker-style basket that is made from a tight weave of real wood. As such, it feels very sturdy and solid so you don't have to worry about your caddy toppling over on any surface. Don't worry about the real wood being too harsh on your diapering products - it is fully lined with 100% cotton which is removable and machine-washable to keep things hygiene. We like how the handle is collapsible on either end so that if need be, it can open up fully for you to stock up the necessities without the handle getting in the way. And with such a bare opening, you get to clearly see what's inside and where without the need to fumble around. The Munchkin Sarabear Portable Diaper Caddy is the best diaper caddy for those that are always moving about in the house as it is big enough to fit just about everything you need for multiple changing sessions in a day, so you don't need to run to the nursery every time anymore. If you're looking for something cheaper but equally functionable, The Good Baby Diaper Caddy will not disappoint. This patent pending diaper caddy is versatile enough for all your baby stuffs. Made of soft felt , it has 3 compartments for you to fit diapers, clothes, changing pads, medicine and more. It is big enough for dozens of diapers and most wipes dispensers but if that is not enough, you can always upsize to a larger one with a few dollars more. 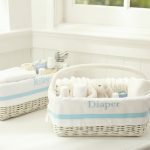 The best thing about The Good Baby Diaper Caddy is that aside from being a diaper organizer for changing table, it can be used as a toy storage bin, baby hamper or even nursery basket for additional nursery storage, thanks to its removable organizer insert. Just remove the insert and it can be used as a multi purpose kit. 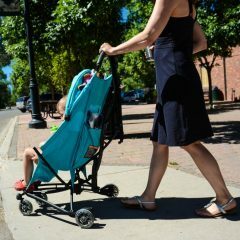 We know of some parents who even use it as a car organiser or to store bath products or bedside products to make things easier to find during those late night feedings. 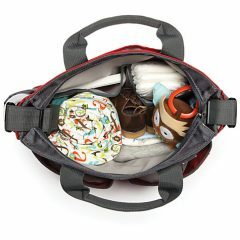 Overall, The Good Baby Diaper Caddy is truly a versatile piece that can also be used as a diaper organizer for diaper bag to keep things organised at those urgent moments. 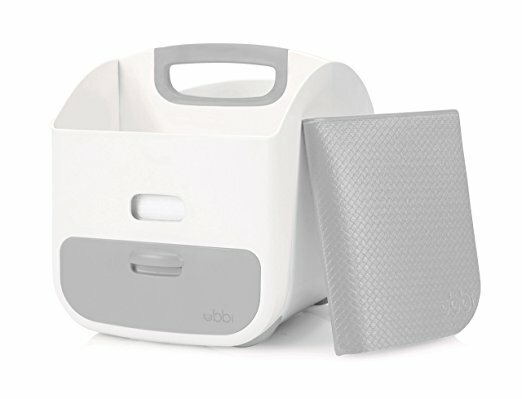 When it comes to best diaper caddy reviews, we cannot miss out this ubbi diaper caddy review - many of you may just be waiting for our take on it! 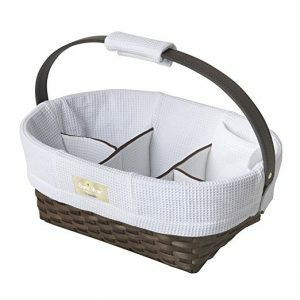 It is not hard to see why the Ubbi Portable Diaper Caddy is regarded as one of the best diaper organizer for dresser. 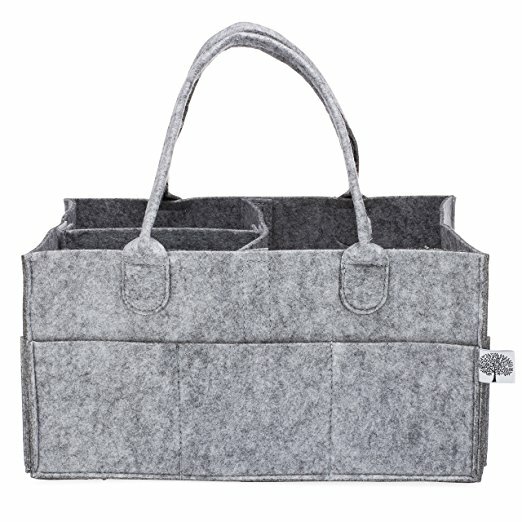 Not in the usual caddy design you've seen around, rather, it comes in a box-like shape with an integrated handle for easy portability across rooms. 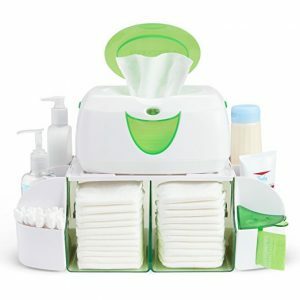 It fits standard wipes dispensers, a staple in any changing kit as all mothers know and it features a convenient window to monitor the quantity of baby wipes remaining . Most specially, it has a drawer for you to store your smaller items (ointments, cotton balls, nail clippers etc) so you don't have to worry about them falling off accidentally. Do note that it is smaller than the other caddies we reviewed here, as they hold an average of 8 diapers only. We think that is enough for a daily run around the house before you need to replenish it! 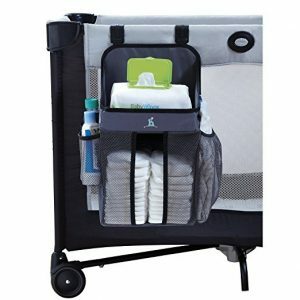 The Ubbi Portable Diaper Caddy is the best dresser top organiser for those that are limited with space. 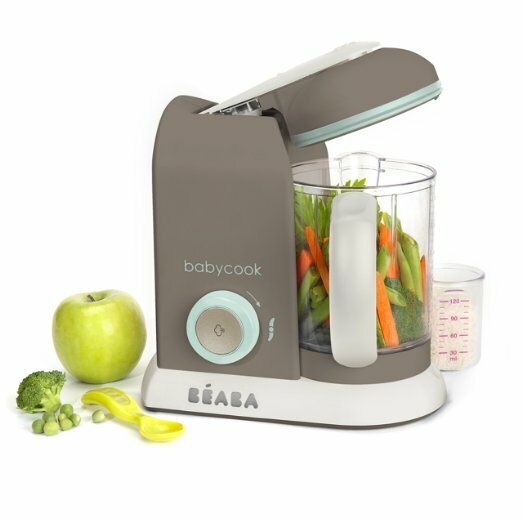 Best of all, it comes with a complimentary soft changing mat that is easy to clean and comfortable! If you think the Ubbi Diaper Caddy is a tad too small but like the idea of having an allocated space for your diapers, then the Munchkin Diaper Duty Organizer is the best diaper organizer for you. Made in the USA, this table top organiser has a specific compartment that holds over 20 diapers which you can access easily through its open design concept. 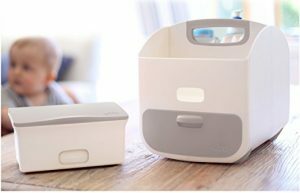 The flat top is allowed for your baby wipe dispenser or wipe warmer - this one is a perfect fit but do note that you need to buy it separately, otherwise, most other wipe dispensers will be fine too. Don't worry about your ointments, creams, lotions and whatnot - this diaper duty organiser has got all that covered with its two side bins that are compartmentalised into 6 sections. You can arrange your necessities accordingly, this way, you can grab them easily anytime. 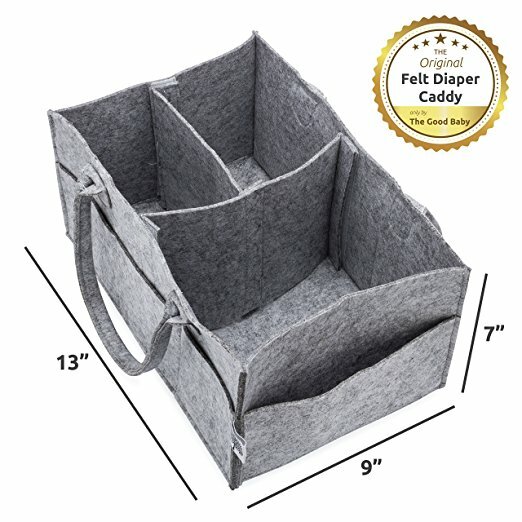 If you think the Munchkin Diaper Duty Organizer is too wide and takes up too much counter space, you can remove the side bins and use it as a sole diaper organiser while putting other necessities on the flat top. This way, it works if you have limited space in your nursery. To give you better value for money, it comes with 12 scented diaper bags too! Enough with portable caddies - here is the best hanging diaper organizer for changing table. Let's face it, many of us really do not have that much extra counter space to hold another item in the nursery. This is when you need a hanging diaper organiser to keep things in order and out of all, the Hiccapop Nursery & Diaper Organizer is our favourite! This diaper caddy has 2 reinforced shelves and 2 pockets that hold over 3 dozen of diapers in addition to your powder, lotions, burp cloth, ointments, rattles etc. This means it will be awhile before you need to rummage around for more diapers. In terms of capacity, nothing beats this caddy! Don't worry about overloading and breaking the straps - it is designed to be heavy duty and is sturdy enough to hold a wipe warmer. Furthermore, it is resistant to stain and the surface is washable to keep things hygienic. The best thing is, it features C-clip hooks that are specially designed to hook onto any playard frames on the market so rest assured that it will fit any brand you buy. There is no need to leave your baby unattended as the Hiccapop Nursery & Diaper Organizer keeps everything close at hand and within simple reach. With more than 300,000 units sold, you can trust that this is the best hanging diaper caddy for changing table/crib.